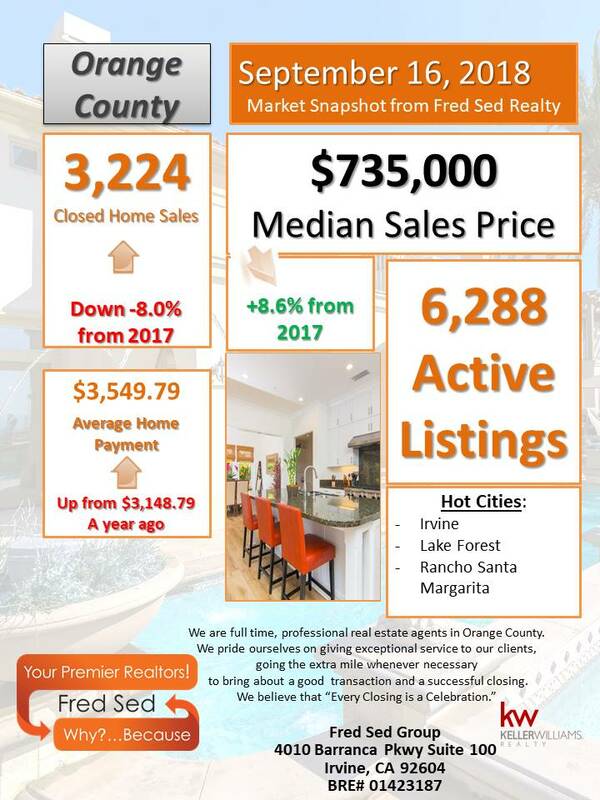 For the week ending September 16th, the Orange County Real Estate market saw a median home sale price of $735,000 on 3,224 sales, down 8.0% from 2017. There are currently 6,288 active listings available. The average monthly mortgage payment throughout the county is $3,549.79, up from $3,148.79 from the same time last year.